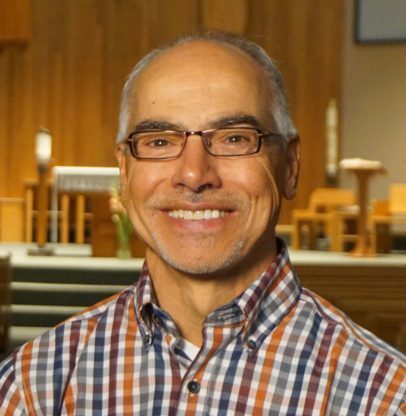 Angelo has been a member of St. Peter’s Parish for over 25 years and currently serves on several ministries. He is the current Grand Knight of St. Peter’s Don Bosco Council and leads a group of almost 200 Catholic gentlemen who are committed to serving the needs of our Parish community. Angelo is happily retired. He was an engineer manager in the oil and gas industry for 37 years. His most satisfying projects included reclaiming old contaminated sites in the Canadian Arctic and in Northern Alberta. Angelo and his wife Gayle will be celebrating their 40th wedding anniversary in 2017. They are blessed with three wonderful children (Dave, Sara and Christopher), all married now and they also have four beautiful grandkids. They both love spending time with their family and serving our parish community.